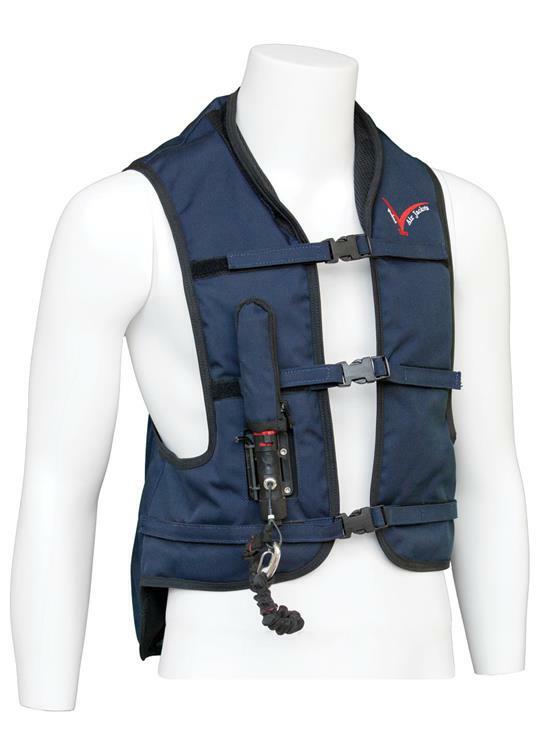 The Point Two ProAir is the lightweight, durable air vest of choice by riders all over the world, for everything from hacking and schooling to eventing and polo. 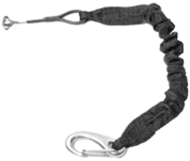 It inflates in the blink of an eye to protect the rider in the event of a fall. Replacement or extra canister that fits your air jackets. Canisters are available as 50cc or 60cc. Please check the table below to ensure you select the correct one for your jacket type. For your safety be sure to use only canisters provided by a Point Two stockist. The 60cc canisters fit: Adult ProAir S, M, L, XL / Child ProAir L / P2RS Adult XS, S, M, L, XL / PointTwo Model D.
There are two fitment types SCREW fitting (left) and BAYONET fitting (right). 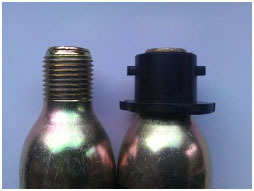 All jackets supplied before 1 October 2012 will be the screw fitting type. 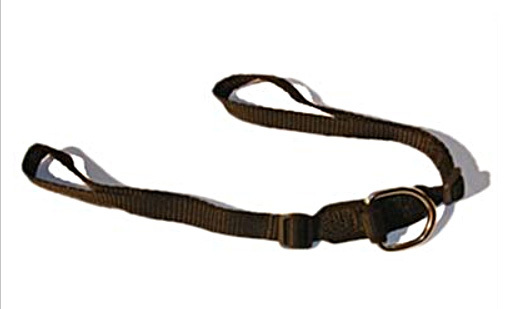 The lanyard attaches the rider's jacket to the nylon stirrup straps.